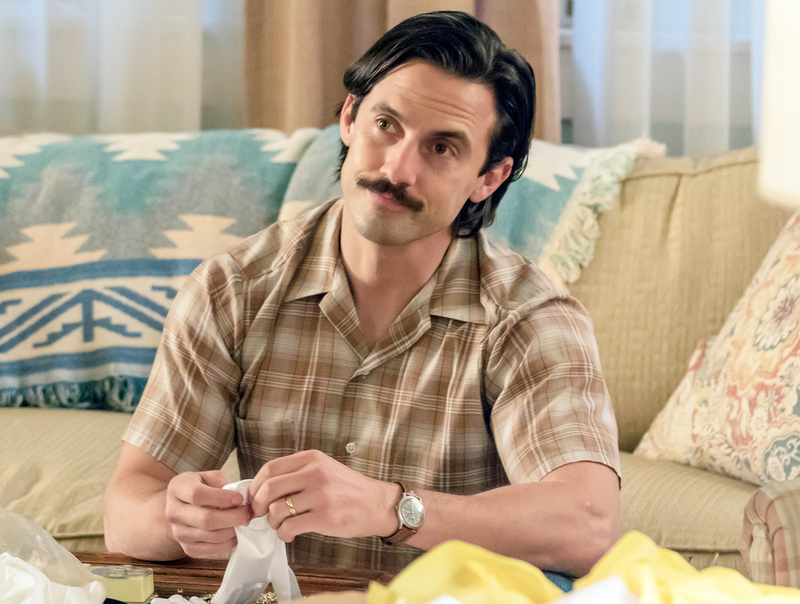 We’re definitely not ready for Jack’s forthcoming death scene on This Is Us, especially after enduring William’s heartbreaking demise on the February 21 episode. As the NBC drama’s fans know, the patriarch of the Pearson family, Jack (Milo Ventimiglia), will pass away at some point while his triplets, Kate, Randall, and Kevin, are teenagers. We still don’t know many specifics, but some viewers believe they’ve stumbled upon a major hint. Fans have come up with no shortage of possible causes for Jack’s death, including one theory that started taking hold after the February 14 episode and focuses on the character’s drinking habit potentially playing a role in his passing. It also centers on the fact that his daughter, Kate (Chrissy Metz), has been so deeply affected by his absence. The gut-wrenching Valentine’s Day episode ended on a sour note, with Jack and Rebecca (Mandy Moore) fighting over whether or not she should go on tour with her ex-boyfriend and bandmate Ben (Sam Trammell). Jack was furious at his wife when he learned that she hadn’t told him about her previous relationship with Ben. Jack, years sober after a previous struggle with alcohol, capped the night with a solo trip to his and Rebecca’s favorite local dive, where he downed a double Makers on the rocks. This twist, along with the fact that Kate admitted to boyfriend Toby (Chris Sullivan) that she wasn’t ready to reveal how her father died, caused a bit of a social-media frenzy. Many fans have since speculated that Jack drove home that night and got into a fatal car accident. But some viewers took it one step further, saying it had to do with Kate. One prevailing theory among some diehard This Is Us theorists is that Kate called Jack to pick her up that night, and that he perished in a crash on his way to get her because he was too intoxicated to drive safely. If it’s true, it’s pretty shocking and brutal. Check out some tweets below about this chilling hypothesis. Tell Us: How do you think Jack dies?